The O'Hara's sample fairies were out and about on Friday and dropped me in two of their latest beers to try. 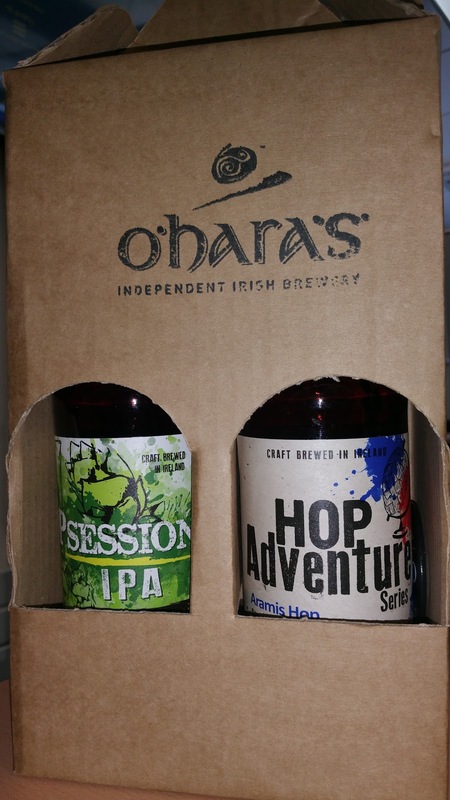 'Opsession IPA and the in the latest Hop Adventure series. 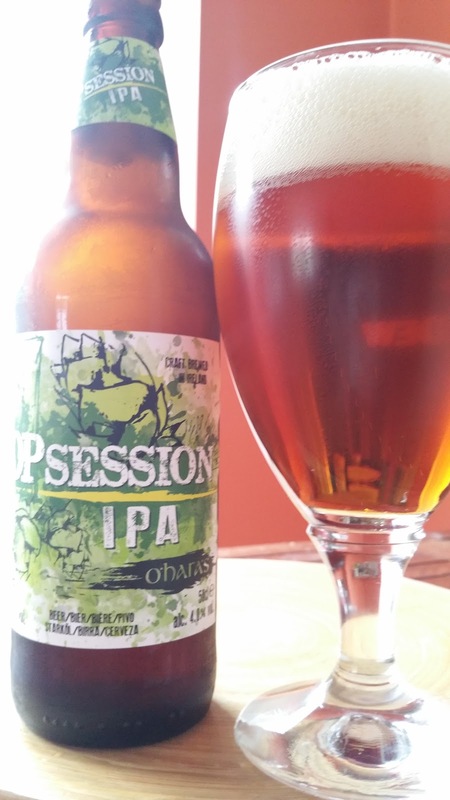 'Opsession IPA is a session IPA at a mere 4% ABV. To make up for the lower alcohol level, I suspect they whacked a load of hops in and mostly of the bittering kind. On the nose I got some floral grassy notes with a little grainy and some honey-like sweetness. I was very surprised on tasting to find it was very bitter, quite intense actually. There was a little malt sweetness but it was very muted. Quite a pithy bitter orange thing. Hiding in there is a little grapefruit but it's fighting through the bitterness. It's quite dark which would usually indicate some use of crystal malt but there's almost no trace of any caramel notes. This beer is bitter. TheBeerNut talked about it yesterday but he attributed it to a sort of tannic astringency. I didn't find that myself and I do rather enjoy high tannin levels in certain styles of beer. To me, it was simply a load of bittering hops but the aroma was distinctly lacking. As well as the hop bitterness, there was also a bitter orange pithiness and the barest hint of grapefruit but again, not evident on the aroma. 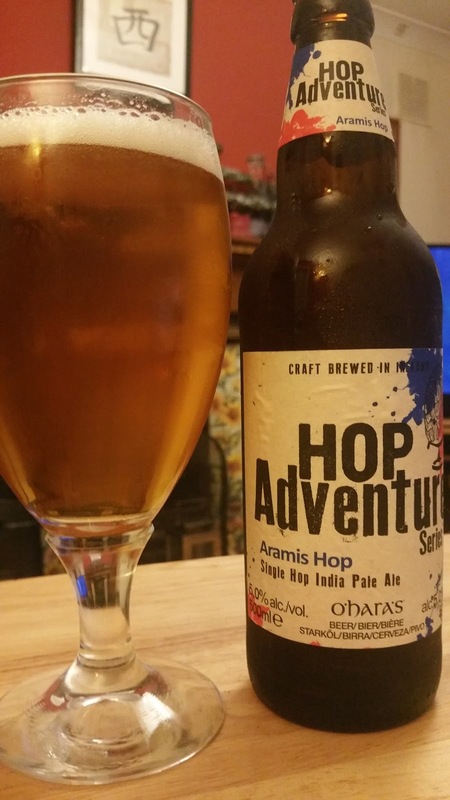 The next hop to be visited on the Hop Adventure series is Aramis from France. It's not a hop I'm familiar with so I just did a search and apparently: It has sweet, spicy notes, with hints of citrus and herbs. From the aroma, I got next to nothing from the hops. I got a slight vinous quality and some toast. Despite its French heritage, it tastes like an English pale ale. It's bitter but not overly so, some toasted grain and a fresh cut grass note with perhaps a little spice. The aroma is again lacking here. Both beers were very enjoyable but I suspect they are missing a trick here. Since the idea here is to portray the hops, the filtering is stripping all that essential aroma out of the beer. The results are some enjoyable beers that many will enjoy but just that little bit on the dull side if you are after fresh hop aromas. My advice is to dial back on the filtering or even better, invest in a centrifuge to clear the beer and forget about the filtering altogether.